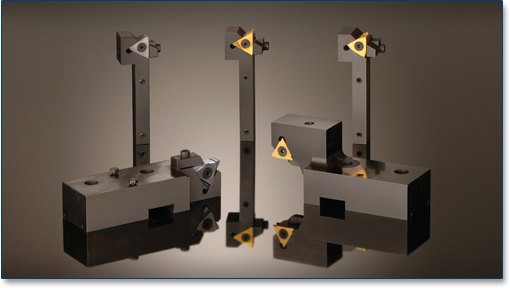 Tornos Form & Shave inserted and brazed tooling are engineered to produce superior surface finish results. The insert blanks, and form and shave insert holders are optimally designed with improved geometries to increase tool life and reduce engineering costs. Features include multiple cutting edges, complex precision ground forms, and availability in a variety of grades and coatings. Brazed form and shave blanks feature complex tight tolerance forms, and are available in a variety of coatings.